Bali Full Day Tours Package is the wide range of the best Bali One Day Trips Itinerary and private Bali tour service. The Bali driver hire for a whole day to experience the top places to visit in Bali island. Do you want to experience the most visited tourist attractions in Bali in a full day trip? such as visiting the beautiful Bali temples, the breathtaking Bali rice terraces, the fabulous Bali waterfalls, the gorgeous Bali beaches, the interesting Balinese dances, the amazing sunset spots, etc. 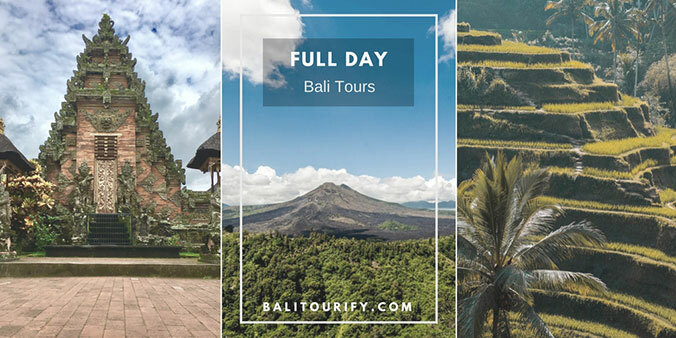 You can do it with Balitourify, hire a professional & friendly private Bali driver for one day (10 hours - 11 hours) with the interesting Bali whole day tour itinerary to visit those fantastic Bali sightseeing attractions. We are a team of professionals who love to show you our lovely homeland, we are happy to guide you to visit the marvelous places in Bali island for one day and to make your Bali holiday memorable and enjoyable. With this Bali one day trip package, you will be able to explore and to see how is the Bali island look like that is famous for Its awesome scenery as well as the terrific ancient historical sites, how are its people with their unique culture which is well-known as the friendly people with high tolerance. Our Bali one day tour packages are matched with the guest satisfaction especially for those who love outdoor and sightseeing tour, the itinerary is flexible, you could change, skip, add/replace your desired places to visit according to the time provided as well as the distance of the attractions. 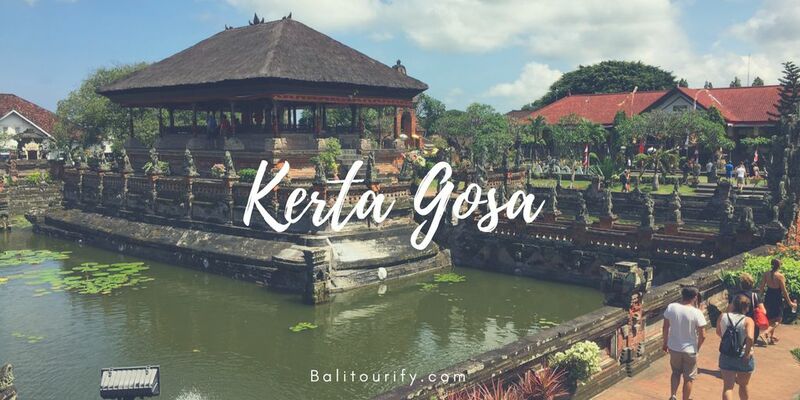 Our tour driver will always give you the best recommendation about what to see and where to go if you have your own list of the itinerary about the sights to visit in Bali especially the journey in a full day. Our drivers are well experienced, they are highly trained to provide the best service to our customers. Our drivers are Balinese but they speak English as well. Our vehicles are well maintained for touring, all Bali Tour Packages are included vehicles which are fully air-conditioned and it's comfortable for any day excursions. We are offering the private day tours as well as the private Bali drivers hires for tourists who are on vacation on this outstanding Indonesian island. Below is the wide range of Bali one day tour offers with the itinerary of visiting the most awesome locations on the island with the array of time 10 hours - 11 hours. All Bali tours will be guided by our friendly tour drivers who are ready to serve you and drive you to visit those beautiful destinations. Kintamani tour is a full day tour offers to see the most active volcano in Bali island. The Mount Batur, known as a stratovolcano that has provided a stunning view that is owned by the island of Bali. A small mountain (1,717 m) which has a lake (Lake Batur) has become one of the renowned natural attractions in Bali. Travelers usually enjoy the scenic beauty of the volcano and its lake while enjoying lunch. In addition, Mount Batur is also very popular among the climbers/trekkers. To climb it is not too difficult, usually, the hiking will begin at dawn and when they have reached the top of the volcano they will be served with an astonishing sunrise view. But on this One Day Kintamani tour, we don't go trekking in the volcano, we will only visit the Kintamani region called Penelokan while having lunch with the amazing view of the volcano and its lake. 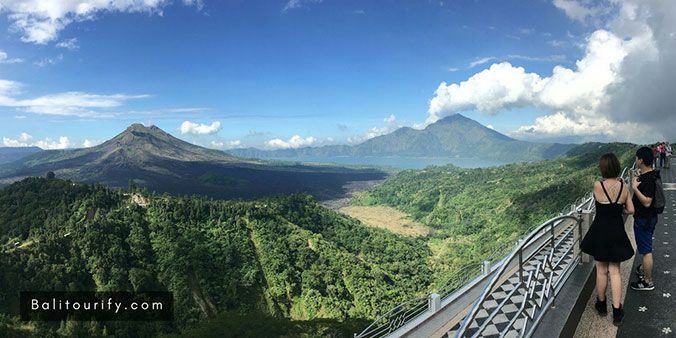 The duration of time of the Full Day Bali Kintamani Volcano Tour is 10 hours - 11 hours, the car rental with driver are already included in the package. North Bali Tour is a one-day tour deal to explore the points of interest particularly located in the northern part of Bali, Indonesia. The northern part of the island is mountainous areas that have many interesting places to visit. Several waterfalls and lakes can also be found in Northern Bali. Buleleng (Singaraja) is one of the regencies in Bali whose territory covers almost all the northern part of the island of Bali. On this Full Day North Bali Tour Package we are going to visit the numerous destinations which are including waterfalls, hot spring, temples, and lake. The duration of time of the Full Day North Bali Tour is 10 - 11 hours, the car and the driver hire are already included in the package. East Bali Tour is a full day tour deal to experience the tourist destinations that are situated in the Eastern part of Bali, Indonesia. The island of Bali in the East is the mountainous areas that have many interesting places to see. Several historical sites and temples can also be found in Eastern Bali. Klungkung and Karangasem are two of the regencies in Bali whose territory covers the Eastern part of the island of Bali. On this One Day East Bali Tour Package, we are going to explore several attractions, mainly the temples and the historical places. The duration of time of the One Day East Bali Tour is up to 11 hours, the private car rental and the private Bali driver hire are already included in the package. Kintamani Bali Volcano and Ubud Village Tour is a one-day tour package to visit the points of interest that are located in central part of the island. 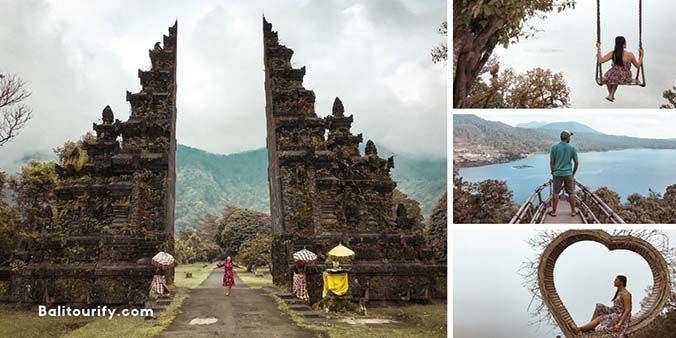 This Kintamani and Ubud Tour Package is a hit choice among all of the Bali tour packages because on this day trip the travelers could explore the most famed places on the island. Ubud is recognized worldwide as one of the best travel destinations, several attractions can be found in Ubud such as sacred monkey forest, temples, palace, market, art museums, etc. 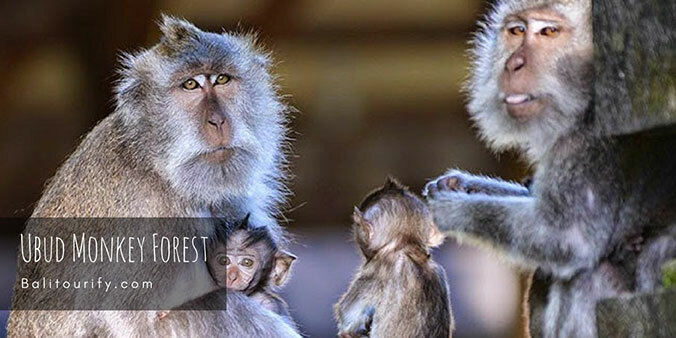 On this Full Day Bali Volcano Kintamani Ubud Tour we are going to visit the numerous destinations such as art villages, volcano, temples, rice terraces, and also the monkey forest. The duration of time of the Full Day Kintamani Bali Volcano and Ubud Village Tour is 9 hours - 10 hours, the private car and the private Bali driver hire are already included in the package. 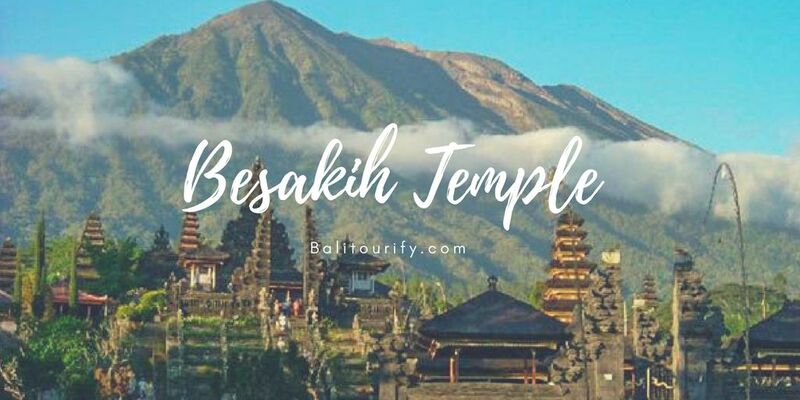 Besakih Temple Tour is a Full Day Tour Package to visit Besakih Temple which is known as the Mother Temple of Bali and the other interesting places for one day. Besakih temple is widely known as the biggest temple in Bali, it was built in 8th Century by a holy priest from Java island called Rsi Markandya. Besakih temple is located on the southern slope of Mount Agung (Bali's highest peak), offers a splendid view of the temple with the Agung Volcano in the background. Mount Agung (3,142 m) is a dormant stratovolcano in Bali, the last eruption was in 1963. Mount Agung is also prominent among the climbers. On this One Day Bali Besakih Temple Tour we are going to visit some places such as art villages, temples, and historical attractions. The duration of time of the One Day Bali Besakih Temple Tour is 10 hours - 11 hours, the private vehicle and the private Bali tour driver hire are included in the package. Bedugul Tanah Lot Tour is a one-day tour package to visit Bedugul region and also Tanah Lot Temple Bali. Bedugul is one the regions in Bali that is reputable among tourists both locals and foreigners. Bedugul will be visited by many tourists, especially on public holidays. Bedugul offers the fresh mountain air, The Ulun Danu Beratan Temple and the second largest lake (Lake Bratan) is also located in this region. Tanah Lot Temple is well-known as one of the most visited places in Bali for enjoying the sunset instead of Uluwatu Temple. Tanah Lot Temple is a Hindu temple in the sea facing the Indian Ocean, it is located on the southern coast of Bali island. On this Full Day Bali Bedugul Tanah Lot Tour we are going to explore the places of interest situated mainly in Tabanan Regency. The duration of time of the Full Day Bali Bedugul Tanah Lot Temple Tour is 9 hours - 10 hours, the private vehicle and the individual Bali tour driver hire are included in the package. Kintamani Besakih Tour is a Full Day Tour Package to visit Besakih Temple, Kintamani Bali Volcano and other interesting places for one day. This day tour is a combination of Kintamani Volcano Tour and Besakih Temple Tour but we changed some places on the itinerary. The nice thing about this day trip is you will be able to see two volcanoes in one day, Batur Volcano, and Agung Volcano. On this One Day Bali Kintamani Besakih Tour we are going to explore the points of interest situated mainly in the North-Eastern part of the island. The duration of time of the One Day Bali Kintamani Besakih Tour is 10 - 11 hours, the private vehicle and the private Bali tour driver rent are included in the package. 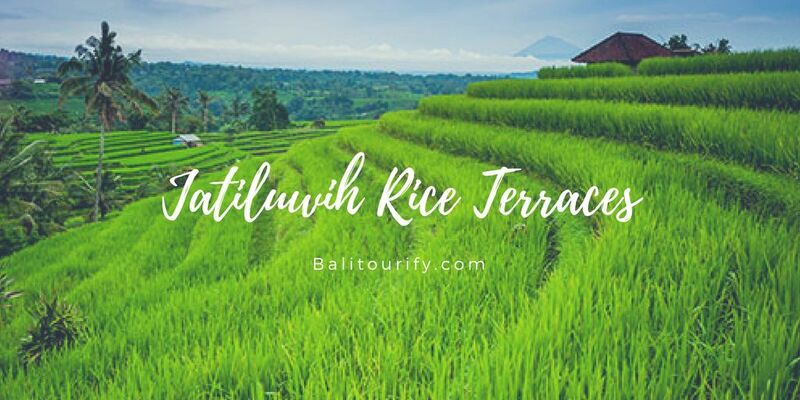 Jatiluwih Bedugul Tour is a One Day Tour Package to visit Jatiluwih Rice Terraces, Bedugul region and also the other points of interest. Jatiluwih Rice Terraces is one of the most magnificent rice terraces in Bali island, located in Tabanan Regency, nearby the Mount Batukaru. 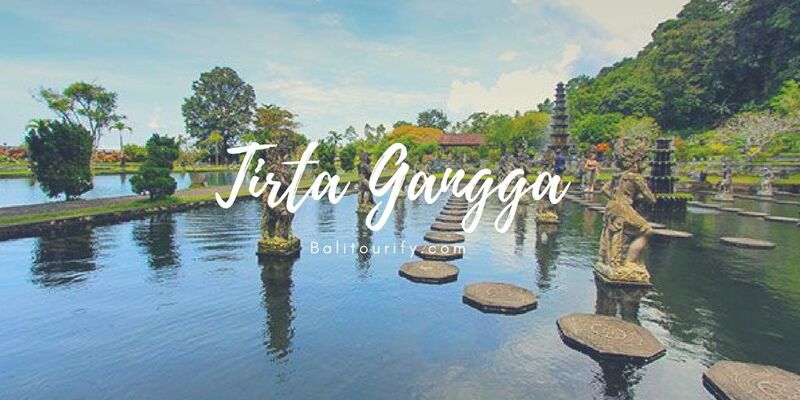 Jatiluwih is the part of the area of ​Subak Landscape of Catur Angga Batukaru that is one of five regions in Bali designated by UNESCO as the cultural landscape. On this Full Day Bali Jatiluwih Bedugul Tour we are going to see the places of interest located mostly in the North-Western part of the Bali island. The duration of time of the Full Day Bali Kintamani Besakih Tour is 10 - 11 hours, the private vehicle and a private Bali driver hire are included in the package. 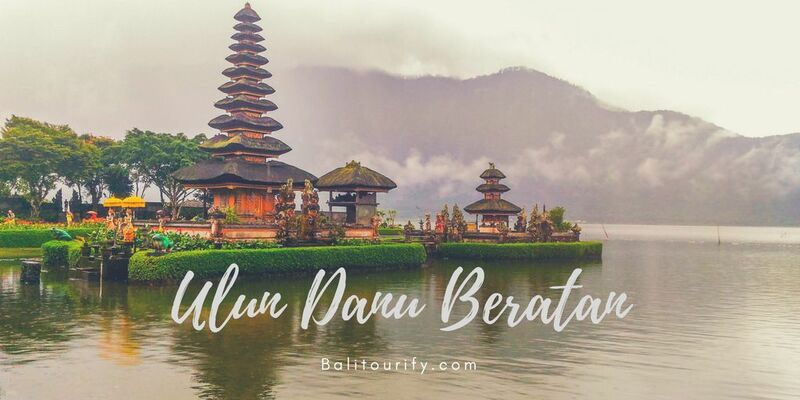 We are from Balitourify.com is always researching the best itinerary especially the Full Day Tour itineraries for everybody who like to explore the Bali island. We will update this page if we have the other interesting and exciting Bali One Day Tour program. We are offering day trips and also a private Bali car and driver hire, at the moment we don't offer the sharing tours yet. Please contact us if you would like to hire a car and driver to do a full day trip with your own itinerary instead of the itineraries above and we are happily giving you the best recommendation based on your list. 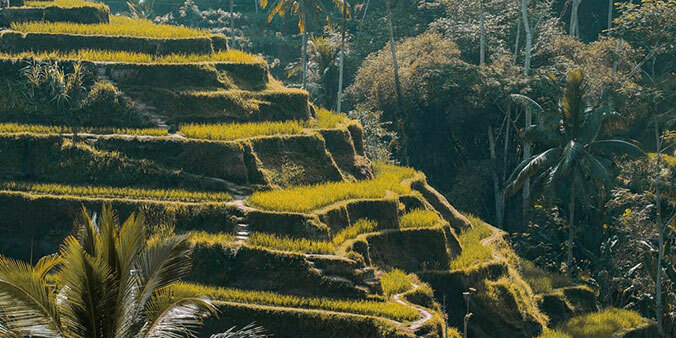 Ubud Tour is a day trip program to explore the top places of interest in Ubud Bali like Ubud Monkey Forest (Sacred Monkey Forest Sanctuary), Ubud Palace, Ubud rice fields (Tegalalang rice terrace) and Pura Taman Saraswati temple (Lotus temple). 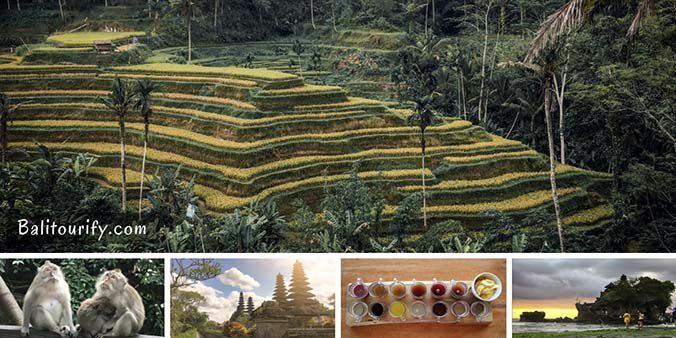 The whole day Ubud tour is among the top Bali 1 day trips itinerary for 9 hours to 10 hours to experience the most famous and best sites in Ubud Bali Indonesia. 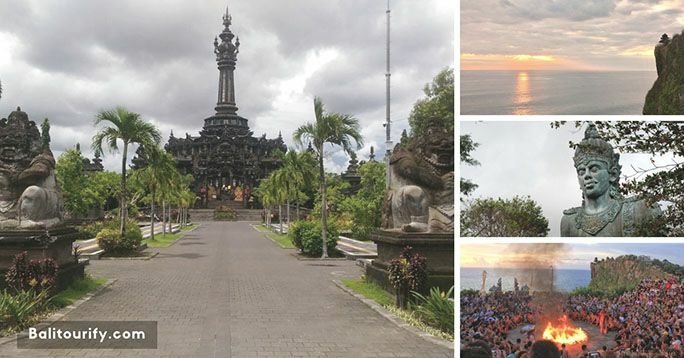 Denpasar City & Uluwatu Temple Bali Sunset Tour is a private full day tour to discover Bali capital city and then continue to explore Uluwatu Temple to watch stunning sunsets and to enjoy the performance of Kecak dance. This one-day trip is a mixing of the half day Denpasar city tour and Uluwatu Sunset tour with a schedule to visit the points of interest in Denpasar Town as well as the southern part of Bali island. Ubud and Tanah Lot Temple Bali Sunset Tour is a private one day tour to visit the sights in Ubud as well as to enjoy the wonderful sight of Tanah Lot (Bali sea temple) with an impressive sunset backdrop. 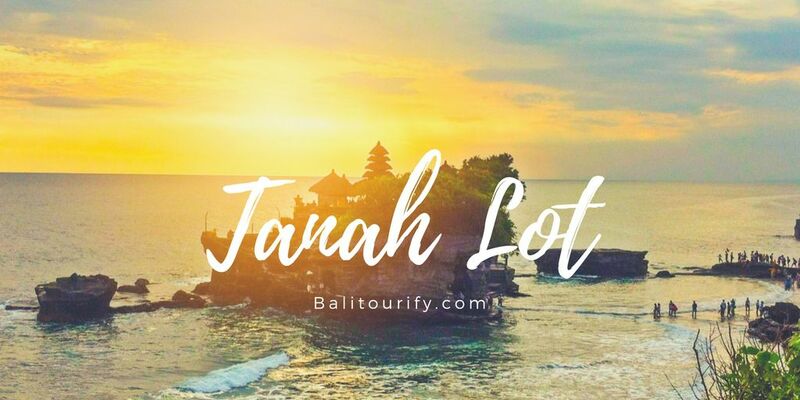 This whole day trip is one of the most desirable Bali tours with a combination of the Ubud One Day Tour and Tanah Lot Sunset Tour with a plan exploring a number of best locations in Ubud with the final destination to see Tanah Lot. 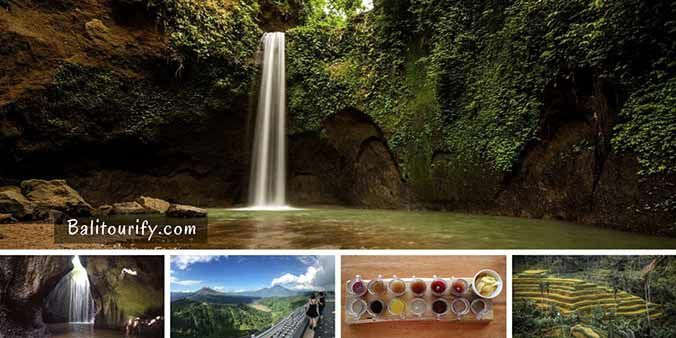 Ubud Waterfall Tour is one day trip to explore the best waterfalls near Ubud Bali, this is probably the most booked full day tours to see the perfect Instagram worthy waterfalls in Ubud. We offer you a one-day itinerary to visit the gorgeous waterfalls near Ubud which are generally known as the Instagrammable locations on the island of Bali. These spots are the appropriate option for anybody who wishes to create a lovely snapshot or selfies to beautify your social networking profiles. Bali waterfalls and Kintamani volcano tour is a full day trip with a private Bali driver hire exploring the beautiful waterfalls in east Bali and also to enjoy the view of Bali Volcano (Mount Batur) and Lake Batur. We offer you a one-day itinerary to visit the wonderful waterfalls in Bali (east Bali) as well as visiting Kintamani which is known as the best spot to view the Bali Volcano (Mount Batur).